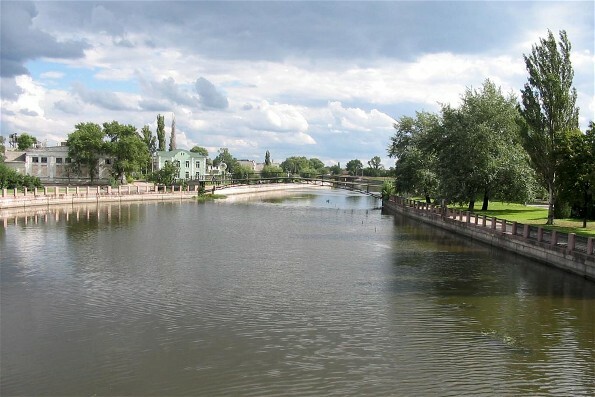 Inhul River (Інгул). (Map: Inhul River.) 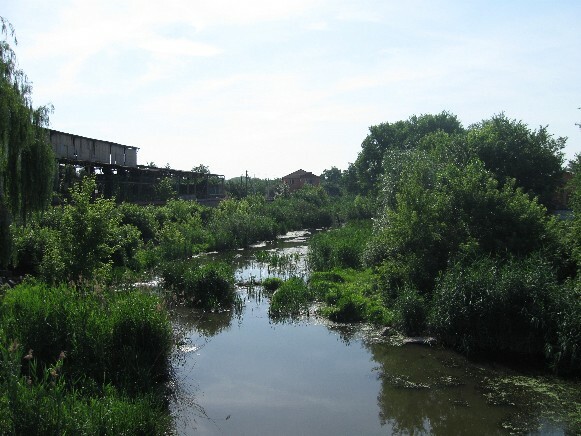 A left-bank tributary of the Boh River, which it joins at Mykolaiv. The Inhul is 354 km long (30 km of which are floodplains) and has a basin area of 9,890 sq km. 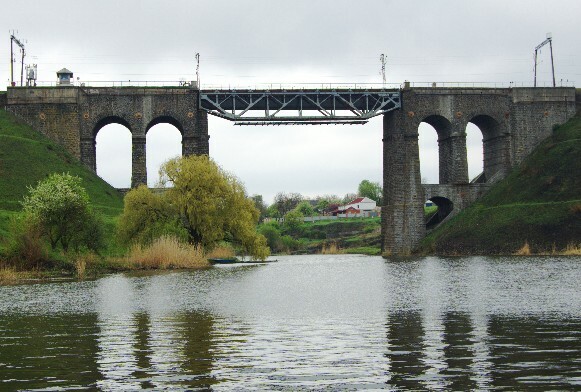 The upper Inhul flows through the Dnieper Upland and forms a narrow river bed in the granite base. In its middle stretch the river enters the Black Sea Lowland. The Inhul freezes in December and thaws in March. Its waters are used for domestic consumption and irrigation. The city of Kropyvnytskyi is located on the Inhul.